Master Your Card (MYC) created a partnership with the Minority Business RoundTable (MBRT) in order to hear concerns and ideas directly from local business owners so that we can work with Mastercard to innovate new solutions. The centerpiece of this partnership is a CEO/Governor luncheon series that is currently underway. 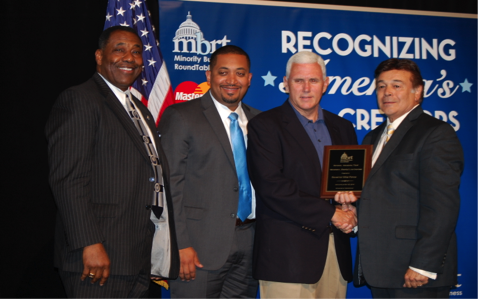 By inviting MBRT’s members, who are minority business leaders, to a CEO small business event, we offer them unprecedented access and exposure to governors and their state’s Small Business Association (SBA). 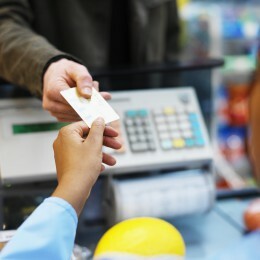 These events also offer Master Your Card an opportunity to share vital tips and tools that help them compete and expand through the effective use of Mastercard’s electronic payment technology. 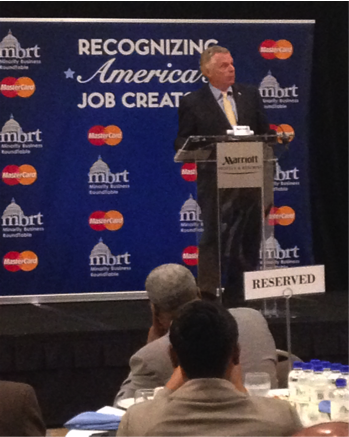 These events feature the governor as the keynote speaker and are a truly collaborative partnership — each event features a Mastercard Executive speaker, a guest from the Small Business Administration (SBA is an MBRT partner) as well as the President and CEO of the MBRT. Invitations are sent to select members of the state’s business community, MBRT members, leading merchants, Mastercard advocates and key elected officials. 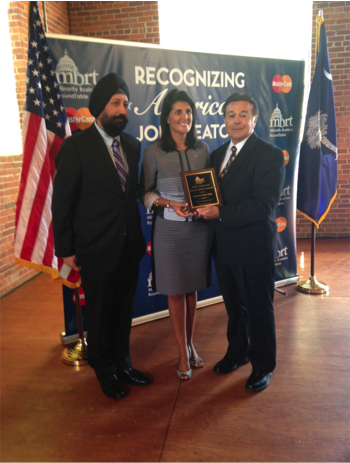 To date, six CEO Small Business Luncheons have been held across the country. States to be scheduled at a later date include Idaho, Missouri, Montana, Nevada, Texas, and Wyoming. These events offer an opportunity for Master Your Card leadership to share useful materials and resources with businesses, while also providing important networking opportunities. For a closer look at the impact this program has had to date, below is a snapshot of event achievements and successes, including opportunities to leverage future opportunities for impactful events, and finally, quotes from the governors. Georgia. 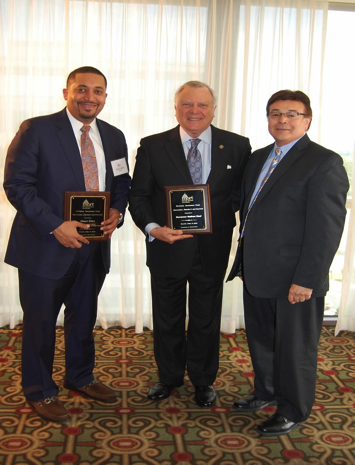 “We value the good work that the MBRT provides the nation as a voice for minority-owned businesses,” said Governor Nathan Deal. 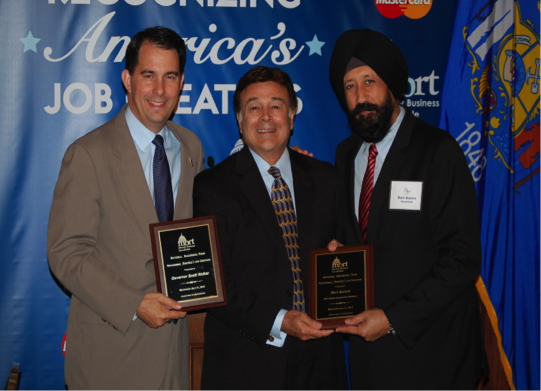 “Small businesses drive job creation and economic development all across the state, and MBRT is a voice for an important sector in the small business community,” said the Governor. View Governor Nathan Deal’s remarks here. Kentucky. “The leadership event in Louisville gives Mastercard an even higher platform to work with elected, appointed, business, faith, labor and civic leaders to develop minority business gains and growth, but especially long-term partnerships to expand financial resources, flexibility and convenience. 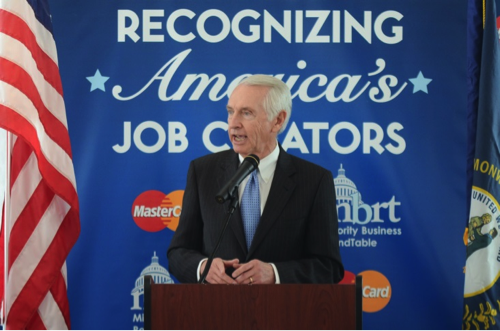 My boss, Governor Beshear, is committed to the host committee to see this expand. The glue is Mastercard, its exceptional field team here in Kentucky, working to carry out and amplify the themes of the Minority Business Round Table, then use a local MBRT model as a conduit for a continuous conversation.” Colmon Elridge, Executive Assistant to the Governor and Chair, MBRT / Mastercard Leaders Event. View a recap of Kentucky’s event here.